Simple Scan Linux Scanner Software for Book and Document. This is the most easy and simple scanner software for Linux. How to install Simple Scan on Linux and review about it read here. Simple Scan is an easy-to-use application, designed to let users connect their scanner and quickly have the image/document in an appropriate format. Simple Scan is basically a frontend for SANE - which is the same backend as XSANE uses. This means that all existing scanners will work and the interface is well tested. Simple Scan is an easy-to-use application, designed to let users connect their scanner and quickly have the image/document in an appropriate format. Lots of people have complained that XSane is too complicated for many users, but little progress has been made towards creating a user-friendly and stable replacement for the SANE GUI. Simple Scan lives up to its name. The interface is uncluttered and offers only a few options. If no changes are made, Simple Scan will scan in photos at 300 DPI, or text documents at 150DPI. Photos and text are the only presets available. The DPI can be changed via the Preferences dialog. In fact, that's nearly all that can be changed, along with the scan source if more than one scanner is attached to the system. Once preferences are saved, you can choose to scan in a single page, or all pages if you happen to have a scanner with a document feeder. Unfortunately, the Epson is a flatbed scanner and I wasn't able to test the feeder feature. Simple Scan makes it easy to scan in a document and send it as an email. Once a document is scanned in, just select Email from the File menu and Simple Scan will open a new email with the scan as an attachment. At least that's what will happen if you're using Evolution as the default mailer on GNOME. 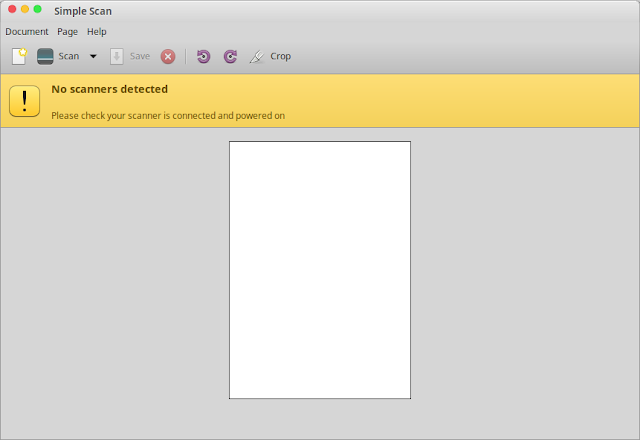 If you're using Thunderbird or another mailer, this doesn't work so well. Simple Scan will initiate a new email, but without the attachment. When selecting email, Simple Scan will always default to PDF. At the moment there appears to be no way to change this. That might be desirable for forms, but not so much for pictures. Naturally, Simple Scan doesn't hold a candle to XSane's bag of tricks, nor is it meant to. If a user wishes to do color correction, optical character recognition (OCR), scan in slide negatives, or any number of other more complex operations, then XSane is still a better choice. But, if all you need is a fast scan of a form or quick and dirty scan of a color document or photo, then Simple Scan is shaping up to be a good choice. This program is currently installed by default by Linux Mint operating system. But if your version of Linux doesn't have Simple Scan installed, you can install Simple Scan Manually from Terminal because it is available on Software Center (beside of using Terminal, you can also install Simple Scan using Software Manager by clicking Start Menu >> Administration >> Software Manager and start typing simple scan). 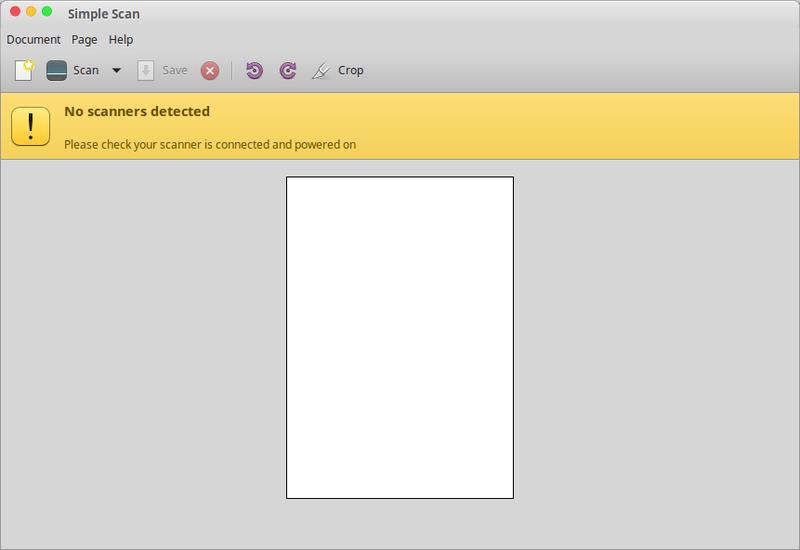 This program found and used my wireless network HP printer / scanner. I doesn't do all the bells and whistles like the document feeder but it does work one sheet at a time just fine. No glitches, also Simple Scan really easy way to scan both documents and photos. You can crop out the bad parts of a photo and rotate it if it is the wrong way round. You can print your scans, export them to pdf, or save them in a range of image formats. GScan2PDF Convert Scanned Image to PDF Directly in Linux. This software is used to scan document from scanner and then convert them into PDF or DJVU directly. How to install GScan2PDF and review about it read it here. gscan2pdf creates a text resource file called .gscan2pdf in the user's home directory. Generally, however, preferences should be changed via the Edit/Preferences menu, or are captured automatically during normal usage of the program. Only two clicks are required to scan several pages and then save all or a selection as a PDF or DjVu file, including metadata if required. gscan2pdf can control regular or sheet-fed (ADF) scanners with SANE via scanimage or scanadf, and can scan multiple pages at once. It presents a thumbnail view of scanned pages, and permits simple operations such as cropping, rotating and deleting pages. 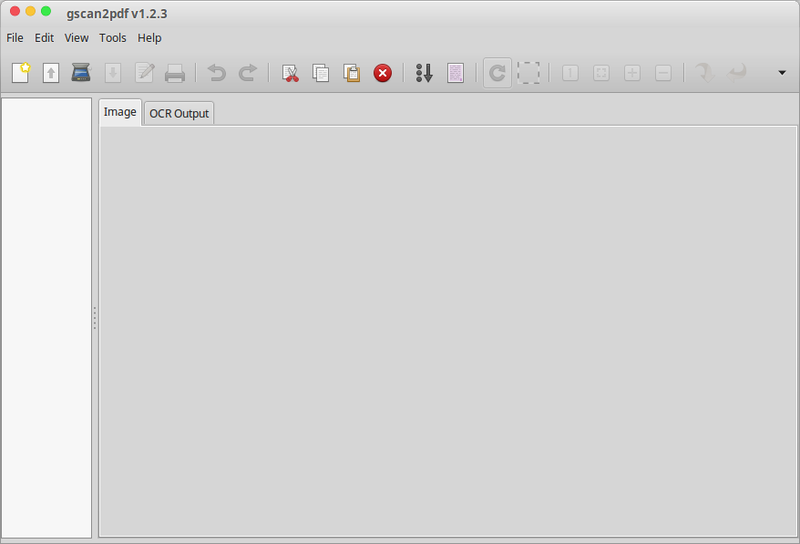 OCR can be used to recognise text in the scans, and the output embedded in the PDF or DjVu. PDF conversion is done by PDF::API2. You need library to be installed on your system to run GScan2PDF directly. Please install sane, libgtk2-ex-podviewer-perl, unpaper, and djvulibre-bin by opening Linux Terminal and type sudo apt-get install and follow by that dependency. This dependency usually appear when you first time start GScan2PDF. Wait until installation completed! Now you can open GScan2PDF after install by clicking Start/Menu >> Graphics >> GScan2PDF and start scanning document. GScan2PDF is the best tool for converting PDF file also can scan and save the selected or all pages as a PDF, DjVu, TIFF, PNG, JPEG, PNM or GIF. Metadata are information that are not visible when viewing the PDF, but are embedded in the file and so searchable and can be examined, typically with the "Properties" option of the PDF viewer. The metadata are completely optional, but can also be used to generate the filename see preferences for details. gscan2pdf supports two frontends, scanimage and scanadf. scanadf support was added when it was realised that scanadf works better than scanimage with some scanners. On Debian-based systems, scanadf is in the sane package, not, like scanimage, in sane-utils. If scanadf is not present, the option is obviously ghosted out.